As managers, we don't always have a simple playbook on how we help our employees be effective and work well collectively. However, DISC can help us accelerate our employee's performance and excellence. 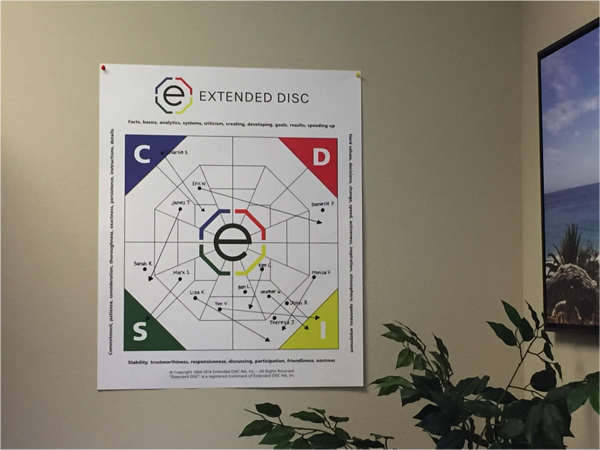 When we think of DISC we usually think only of the DISC assessment report, but leaders can look at DISC data in a variety of ways, which allows them to identify, plan, adapt, and support their employees more effectively. DISC is sometimes seen as only a training event. The experience was informative, interesting, and entertaining, but then it's time to get back to work or the "real world" because know our work is piling up while we are away from our desk. We are dreading the amount of emails, voicemails, deadlines, and impatient clients waiting for us. So, while we all see the value of DISC, our participants may file their assessments away, with the notion they will get to it when they "have time". The end goal of DISC is to get people to modify their behavior to be more successful. However we need to acknowledge that the effective use of DISC cannot be learned in a single event. It must be coached, practiced, and reinforced. While it's easy to learn and practice at an individual level, it becomes more challenging to implement at the team and organizational level. Ideally, the most successful companies build DISC into their organizational culture from top management down to the employees. We strive to get to a point where the entire organization uses it, but it takes time and commitment. First, the message must be clear and it must come from leadership. Top management needs to use DISC language daily with others. 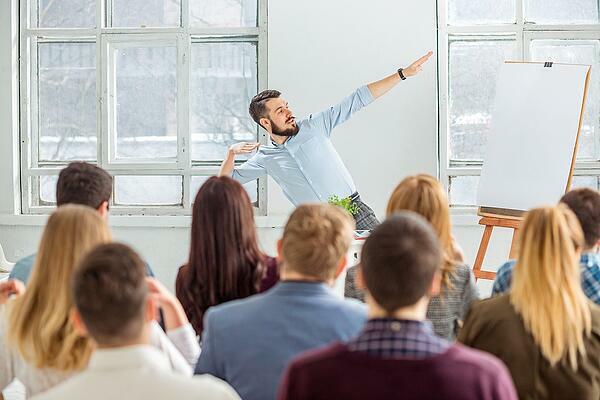 They need to convey the message, “this is why DISC is important, this how we will help you to learn it, and this is what we will expect from you.” This way it becomes part of the culture because the leaders and managers talk about DISC and employees understand the value of it and will use it too. However, the top level management is highly competitive and often times a very small group; CEOs may feel apprehensive of sharing their own personal areas of development. 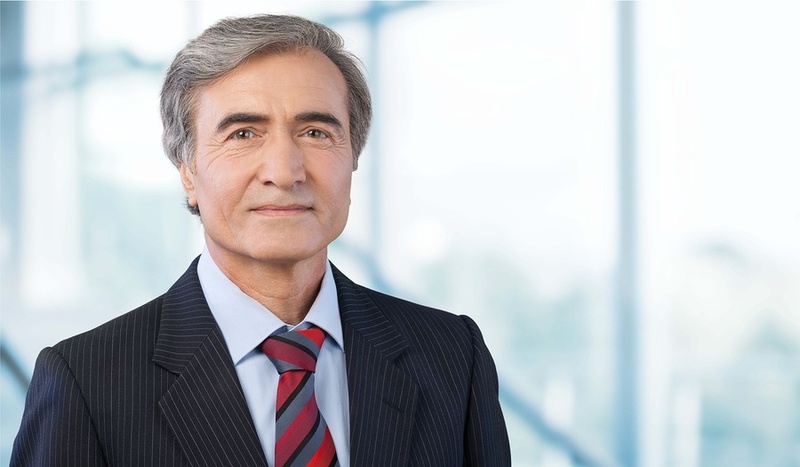 The most critical role in the success of DISC in the workplace is the direct manager. They need to be able to model it by their actions and behaviors and announce it as a priority. When coaching and debriefing DISC with your employee, you should include: "what DISC-style is your prospect/customer/direct report/co-worker/etc.?" This will ensure all of the employees know this is important and expected. Use the language of DISC in meetings too. When you consistently use DISC in your everyday language, as a manager, you are virtually guaranteeing that DISC will become part of your team's culture. Our work is busy and can be stressful. As with many things learned, if we don't focus on it, we forget about it. Customer Service Management programs (CRM) are a great tool to remind everyone about DISC information of clients and prospects. Your coworkers and you have important information on how to interact with your clients. If you know about a customer's DISC style then you can communicate via phone, email, etc, more efficiently and effectively. The 4 Steps to Effective Communication: Self Development Guide Workbook and Quick Reference Card are popular and useful reinforcement tools. The Extended DISC Diamond is a simple and powerful reinforcement tool. If the manager creates the team report onto the Diamond and posts it prominently, then the employees understand the value of DISC. First, the manager is constantly reminded that his/her employees don't communicate the same way. Just as importantly, it's a subtle reminder that the manager gives value to DISC. As a manager, you need to communicate with your actions and behaviors; one way is building it into your conversations. In your next debrief or coaching session, ask some simple questions to help employees practice identifying styles of others, "what behavioral observations can you make about your prospect/customer? or "what was the DISC style of your prospect/client?" Once you've helped them identify DISC styles of others, now coach them on what behavioral adjustments they should make or not make? What were the positive outcomes? What did they learn from the interactions. In asking some simple questions about DISC, it will soon become a learned behavior. 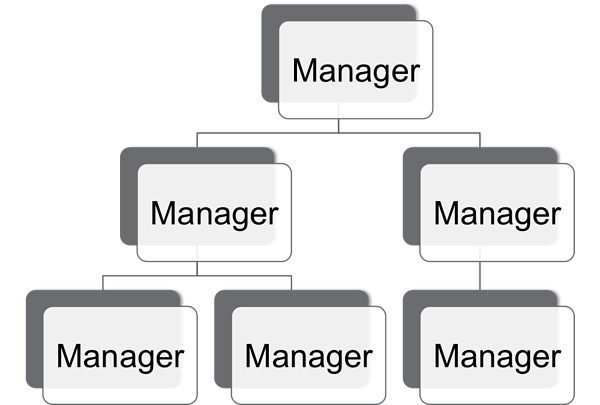 The top management role is important and it will cascade down and happen much faster; everyone will take notice and everyone will use it. 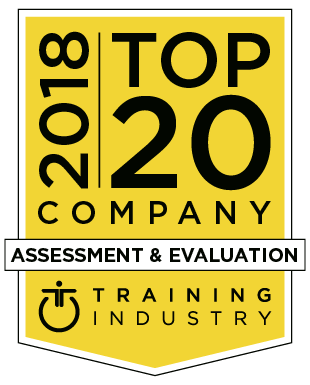 One of our clients won a ATD best award by incorporating DISC into their organization. They had a 50% retention rate that increase to 86%. They increased their sales and they credited the use of DISC in their success. It is our job, as leaders and managers, to help our employees and teams be the most successful they can be. DISC can help us focus on our organization. It's simple to implement, but requires prioritizing, practice, and reinforcement. Don't over complicate it because the simplicity of DISC is also its strength. about our Extended DISC support tools, assessments, and admin site.